Free Printable Cupid Template. Free Printable Cupid Template, great for Valentine’s Day decoration on February. You can use this template with cupid shape for school classroom decoration, pattern, sewing, coloring page, craft or activity to celebrate Saint Valentine’s Day. Print it using your inkjet or laser printer and have fun making and decorating cupids with your students. You only need to print it, cut it out with a scissors and use the cupid shaped template for the project you have in mind. 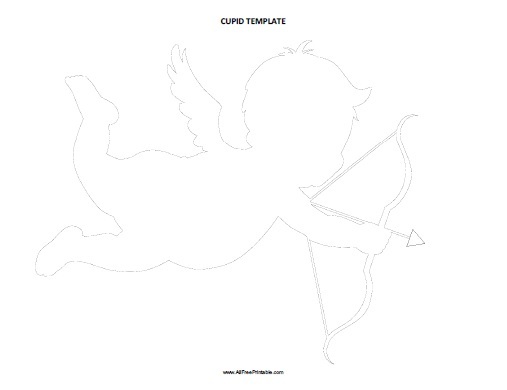 Click the link below to download or print the Cupid Outline Template in PDF format free.